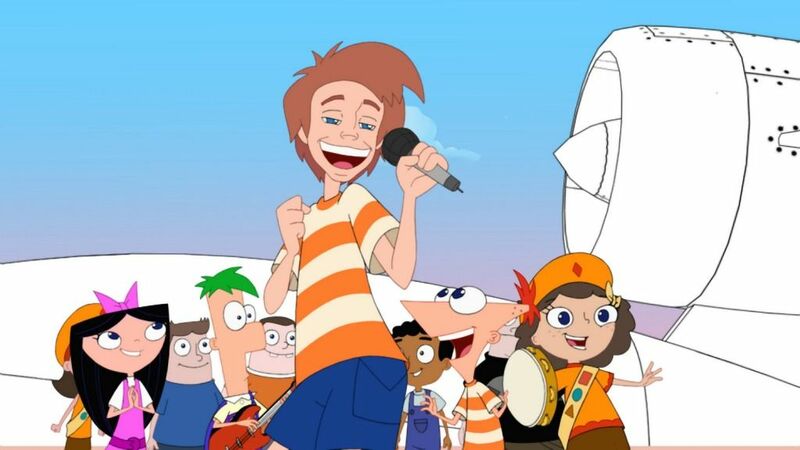 During the summer of 2010, Clay Aiken was the guest star on Disney’s Phineas and Ferb. He sang a duet with the legendary recording artist Chaka Khan. 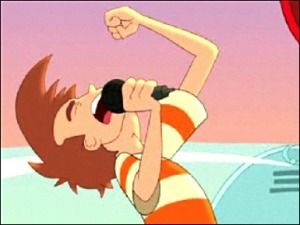 The one hour episode, “Summer Belongs to You”, premiered on August 2, on DisneyXD and then again on August 6 on the Disney Channel. Clay’s song for Disney is I Believe We Can. The duet was part of an episode of titled Summer Belongs To You. Walt Disney Records released the song on iTunes and other online retailers as a part of a digital album comprised of music from the entire TV series. 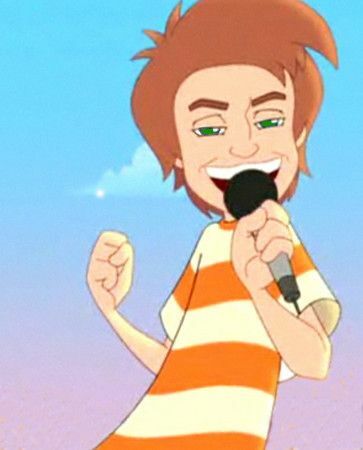 You could argue that Clay Aiken has always been animated. Now he really is! “Phineas & Ferb” is the story of two stepbrothers perpetually on summer vacation, who always embark on some grand project. Their sister Candace watches on angrily, but is never able to get their mom to catch them in the act. The two also have a platypus named Perry, a secret agent for an all-animal government organization that primarily takes on Dr. Heinz Doofenshmirtz, an evil scientist. It sounds wacky, but trust me, it works. Clay’s episode is about the brothers’ decision to travel around the world in a day. Clay and Chaka, through their song, offer encouragement. I do remember waiting to see this show. I had not seen any of the series before, but I certainly enjoyed animated Clay Aiken. Have you seen this show before? I have seen this show, Clay looks so cute animated! "I Believe We Can" delivers a good message for all! Haven't seen this for a long time. Thank you, musicfan for the memory! It's been so long since I seen this….Great recording by Clay!!!! I went up to my son's house to watch this program with my grandson. Never saw it before or since. Wonder if Parker has seen his dad animated?! Error: Error validating access token: Session has expired on Tuesday, 21-Aug-18 16:13:01 PDT. The current time is Thursday, 18-Apr-19 21:44:20 PDT.